We were glad to find Dr. Annie’s home service. It was of course a very sad day, but being at home made it a more peaceful experience and Dr Annie was wonderful. Our Spencer was the sweetest little kitty and our little clown. Spencer was very sweet and affectionate with us, but he was fearful of others and hated going to the vet. I miss my little snuggle buddy and am grateful for the 14 years we had with him. Dr. Meg came to our house for an in-home euthanasia. I saw her as a lovable grandmother. She was compassionate, kind & sincere and the cats were friendly with her. She talked me through the procedure and told me what to expect. Dr Meg asked me if I was ready, and the transition was so peaceful. Dr Meg cried with me. Believe me, it was worth every penny. It includes a communal cremation and burial at sea. She placed Winston and Sydney in her furry blanket and put them in a cuddle position & carried them in her arms. After the sedative, I gave treats, and they were both comfortable in familiar surroundings, on their own bed. Thank you a thousand times, this makes our grieving process lighter. Thank you for your gentle hand in transitioning Champ to heaven with us!!! We miss our Champ very much! We didn't think we would say goodbye so soon to him. We still miss Champ and tears are welling up writing this but there is still room in our hearts and we have saved another beautiful animal and we are now his people! Thank you, Dr. Annie, and your entire team, for everything and for making the painful process of saying goodbye to our beloved kitty, Chloe, a little more bearable. Allowing her to pass in the comfort of her own home, surrounded by loved ones, was truly the way to go. Your compassion and care for her touched our hearts, and we'll never forget your kind words and patience during that difficult time. Chloe was my best friend. A truly perfect kitty in every sense of the word. I miss her everyday. I'm so grateful for the 15 years I had with her. She was perfect to the very end. My husband and I will love and miss her forever. 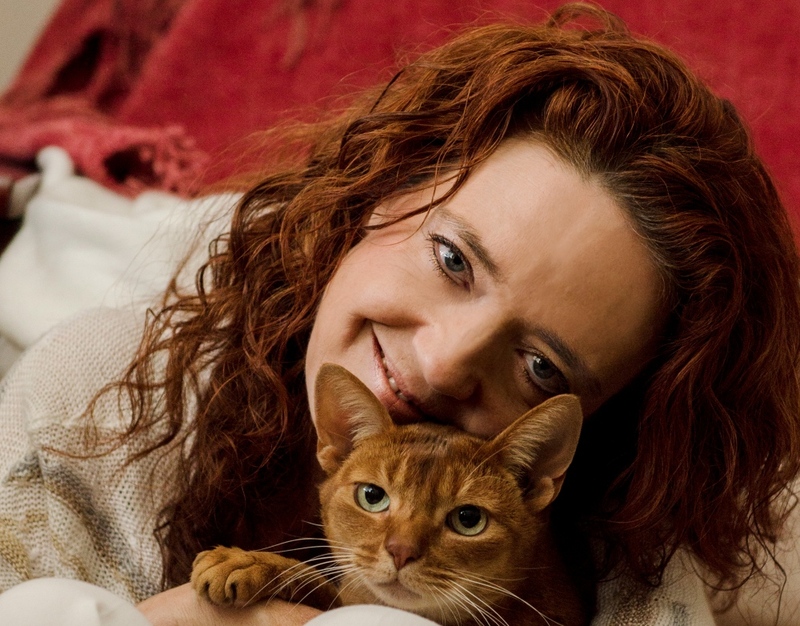 Dear Dr. Annie, your guidance and Dr. Meg’s compassion and patience greatly eased the heartbreaking experience of saying goodbye to our much loved cat, Pablo, in the home we shared with him for nine special years. Two homeless men found Pablo in the middle of a Santa Ana street when he was a kitten. These men took him to the home of a friend of ours, and several days later Pablo “adopted” us. He never tired of being with us. Pablo loved being carried on Rod’s shoulder and probably would have happily stayed there even if Rod decided to walk to the moon. When Howard was reading, Pablo loved to stretch out on his lap with his paws often covering his eyes like a sleep mask. The one time a mouse appeared in our house, Pablo darted in the opposite direction, and he loved gazing out the window at the birds without ever displaying a threatening gesture. Pablo was something of a pacifist. We deeply miss our wonderful Pablo, but we will always be grateful for the gift of nine unforgettable years with him. Greetings Dr. Annie, I first want to thank you for the personal touches that you and your staff have shared with us over the last month. Your caring shows in every bit of information you share and the gentle moves you make. Your informative website, while painful to study at first quickly put my mind at peace. Upon your arrival, your beautiful spirit/energy/aura/whatever anyone calls it, pouring out strength, kindness, empathy and hundreds of other positive adjectives. The fee for this service WILL NOT break the bank, is WELL WORTH every penny and peace of mind is PRICELESS!! Amazing! Amazing!! Amazing!!! Dr. Annie was full of love, respect and loving countenance. My vet suggested Dr. Annie and we were so grateful. Words cannot give her justice. She is a very compassionate conscious wise woman and we are grateful. Cocoa was a very unique guy. Chocolate merle in colour, long coat standard in size chihuahua. What a beauty he was. Cocoa thank you for coming back into our lives so quickly after departing for we know you have reincarnated into our big red cat Murray. Thank you Dr. Annie, for helping us through such an emotional time. On behalf of all of the furry parents you assist, we thank you. Your compassion, attention to detail and consideration for us at such an excruciating time of grief is so very, very appreciated. Dr. Annie, you are a kind-hearted and gifted veterinarian and we are so thankful that you do what you do. 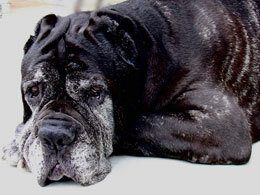 Kona came to us as a puppy just as we were losing another of our pets to kidney failure. He so helped ease that loss as well as yet another loss, years later, of our Dalmatian, Hamlet. It’s always more comforting to have another “fur baby” beside you to ease that loss. Mr. Peepers was healthy much of his life, even though slightly over the ideal weight. I lay in bed July 30, 2000, hearing a cat meow below the window. I went downstairs to find the cat, but didn’t succeed. Putting some dry cat food on the sidewalk, I checked back a few hours later to find the food had been eaten. As I put some more food down, a Russian Blue mix cat ran to me, jumping up to put his two front-paws on my left shoulder; this turned out to be his favorite way to get around. Because of a low sound he made, he was named Mr. Peepers. Thank you Dr Annie for helping him go to a better place and never out of pain. 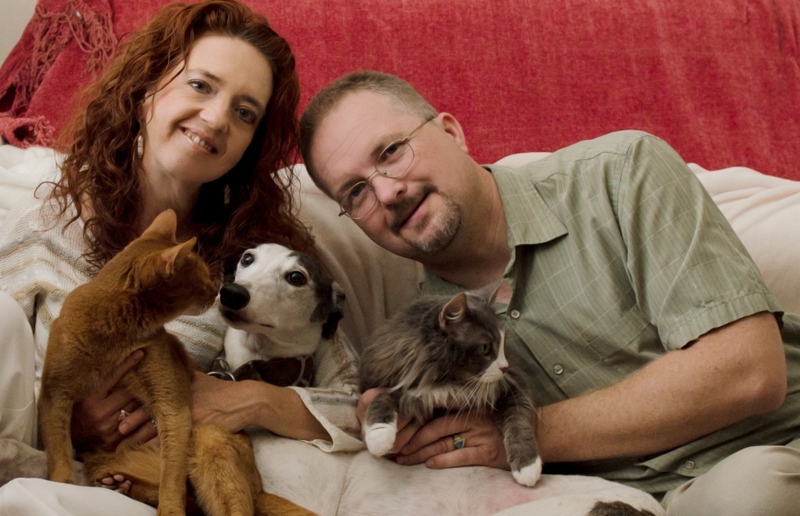 The home euthanasia process was the best it could be. I was able to have Snoopy with me, and have friends around. It was the best way to have her go in peace and let me mourn her loss. I miss her every day, but I know she is better off where she is now. The others were also able to say their goodbyes which was important to me. She will always hold a special place in my heart. We are grateful to Dr. Annie and the counseling she provided as we struggled with our decision, and to the staff at HPE for their caring and compassion. Allowing a furry family member to pass peacefully at home is truly a gift. 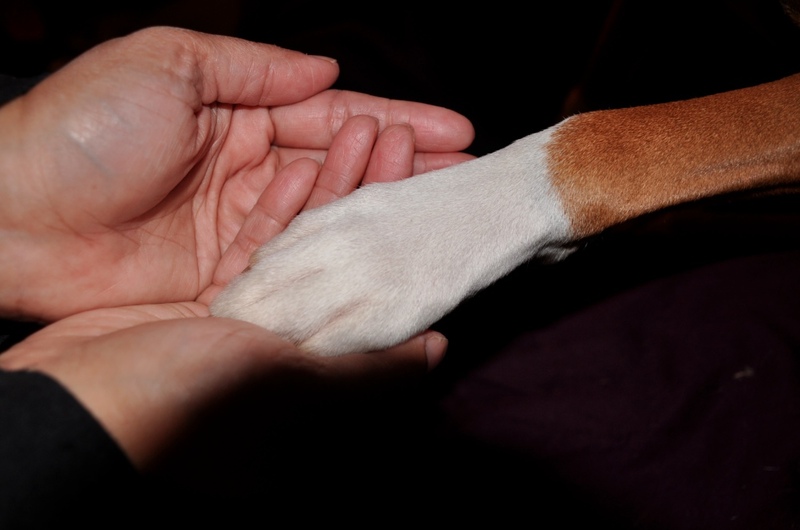 Thanks again for caring, and for the difficult work that you do, which means so much to pet parents like ourselves. We knew Spot and his brother Bandit from the day they were born in 1997, and they shared their entire lives with us. We lost Bandit in 2011, and would never dream that we'd have nearly another six years with Spot, who lived to the ripe old age of 19. Caring for him towards the end was difficult, but he enriched our lives in so many ways, and lived his life with a fierce determination that was inspirational. Till we meet again at the Rainbow Bridge . . . 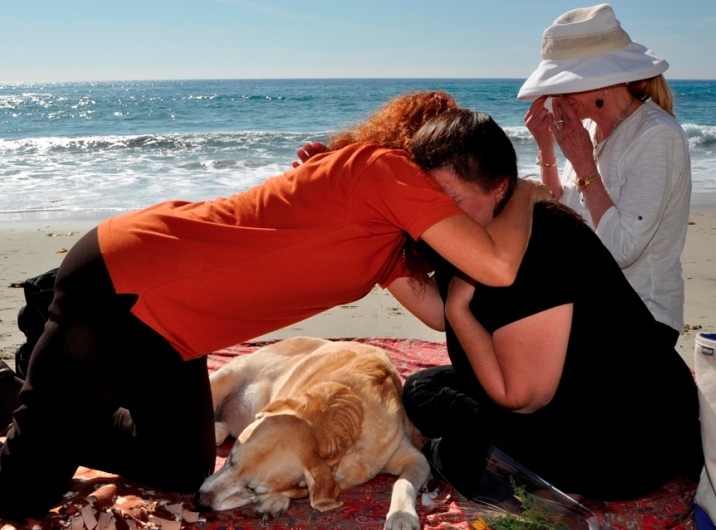 I chose Home Pet Euthanasia, Dr. Forslund and her team, to release our Louie from his pain. Thank you Dr. Forslund for your kindness and compassion. Louie was suffering from renal failure. Riding in the car and going to the vet was his two least favorite things to do. We didn't want his last memory to be the terror of the veterinary's office. It was a very sad and emotional day for us, so putting Louie down in this peaceful was was the most dignified way for all us us. We are so grateful for you and your organization, Dr. Annie. Everyone from the first person I talked to when I called was so kind and compassionate, and it helped make this sad transition bearable for our family. Dr. Meg came to our home showing us great kindness and patience. She explained the process and gave us the space we needed to say our goodbyes. Jake was the most wonderful dog we could ever have asked for. He was the most gentle, well-behaved dog anyone could ever ask for. He loved kids, other dogs, and even our two cats from the very beginning. We’ll always love our Jake, and will miss him and his constant companionship immensely. We take solace in the knowledge that we feel that we gave him our best in life and the most peaceful, loving transition to the "Rainbow Bridge”. Thank you, Dr. Annie. Thank you so much for reaching out to us. We appreciate your compassion during a difficult time in our lives. We are so grateful for you and your services. Nox was such a wonderful dog and we feel it was truly a gift to be able to say goodbye to him at home, surrounded by our family and three other dogs. Thank you so much for allowing us this opportunity. We will certainly miss our gentle giant. Seven years wasn't nearly long enough to have with him. Everywhere we went, people would recognize him and ask if he was "Nox the Giant Schnauzer." He was truly a joy to have. Because of you his passing was peaceful and he is no longer suffering. Thank you from the bottom of our hearts and God bless. Thank you Dr. Annie for your sincere heart and love! We could not have done it without the compassion and understanding shown by Dr. Annie. As upsetting as this was for our family, Kona was able to pass peacefully in the comfort of his own home. For 14 amazing years we were blessed with the company of our Siberian Husky, Kona. He loved to go on hikes and running around in the pouring rain. Kona was also the great grand-dog of our Husky, Sooner who passed away a few years prior to us welcoming Kona to our family. We had to make the difficult decision to say good-bye due to his failing health .